2. 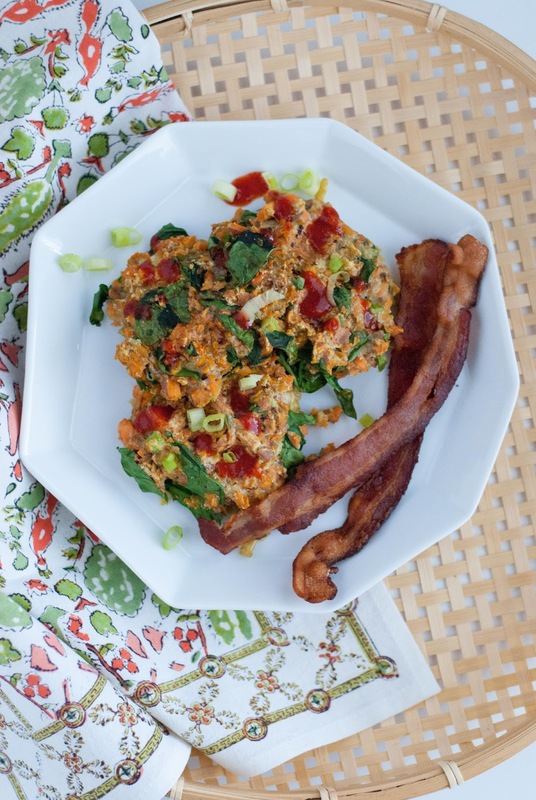 In a medium bowl, mix together the sweet potato, eggs, spinach, coconut flour, scallion and garlic powder. 3. Grease your waffle iron and then spoon 1/4 cup of the batter onto the pan. Cook for about 5-10 minutes or until the outside is slightly browning and crispy. 4. Remove and keep warm. Continue the same process with the remaining batter. 5. Plate your waffles and then top with your desired toppings. Enjoy!